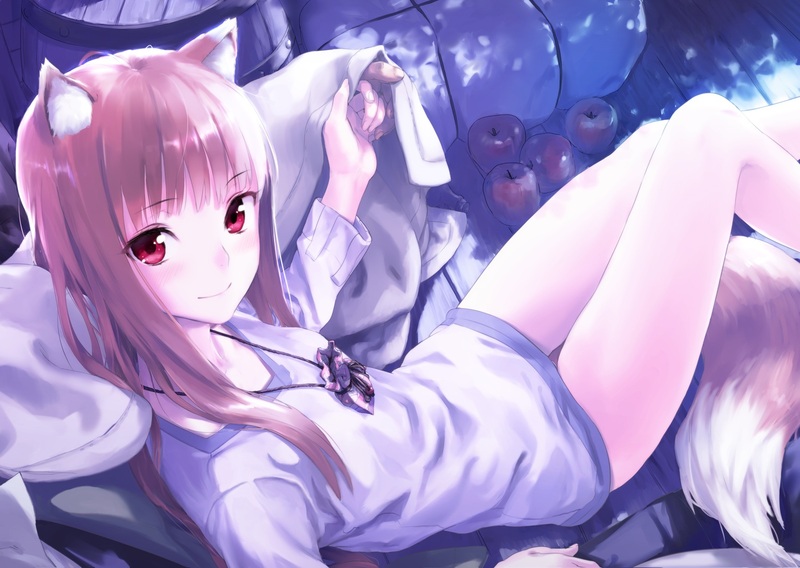 698 anime images in gallery. 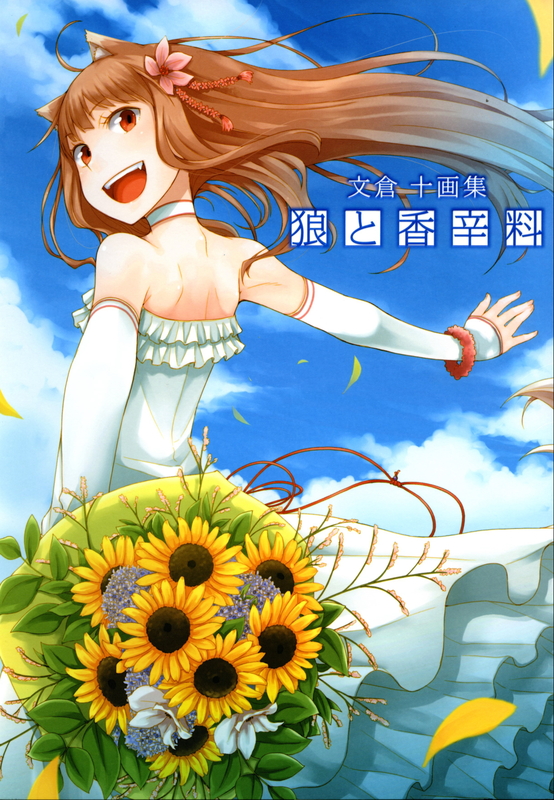 Tagged under Series, Ayakura Juu, Light Novels and Brains Base (Studio). 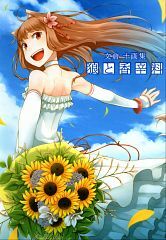 Ookami to Koushinryou started as a series of light novels created by Isuna Hasekura featuring illustrations by Ju Ayakura. Ir was published starting February 10, 2006 and ended July 10, 2011 by ASCII Media Workds. A manga adaptation still had the same writer as the light novels but had illustrations by Keito Hasekura and was published starting November 2007 until the present by ASCII Media Works in Dengeki Maoh magazine. 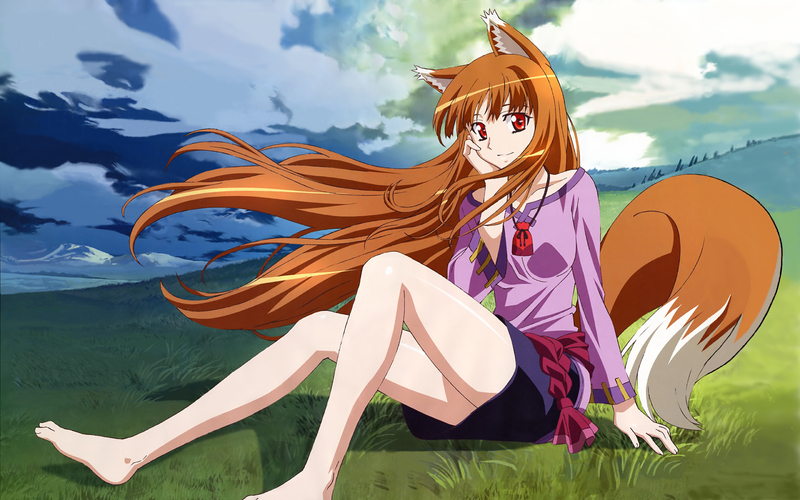 An anime adapation was directed by Takeo Takahashi under Imagin studio and aired starting January 9, 2008 and ended March 26, 2008 on KBS, Chiba TV, Tokyo MX and many more. An OVA was released on May 30, 2008 which ran for 24 minutes. 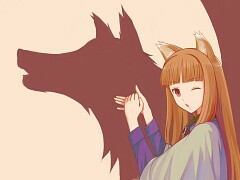 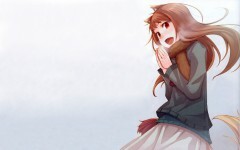 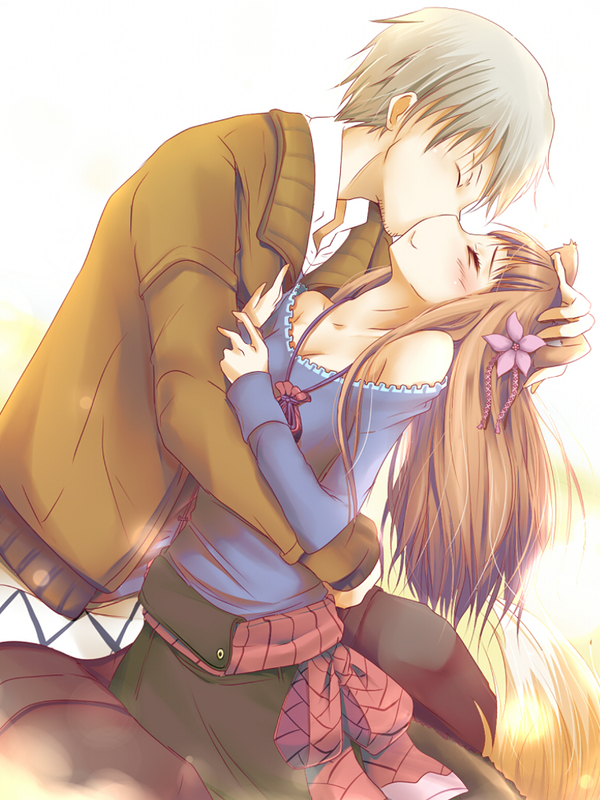 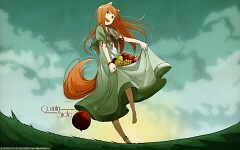 A game for the Nintendo DS, Spice and Wolf: Holo’s and My One Year, by ASCII Media Works on June 26, 2008. 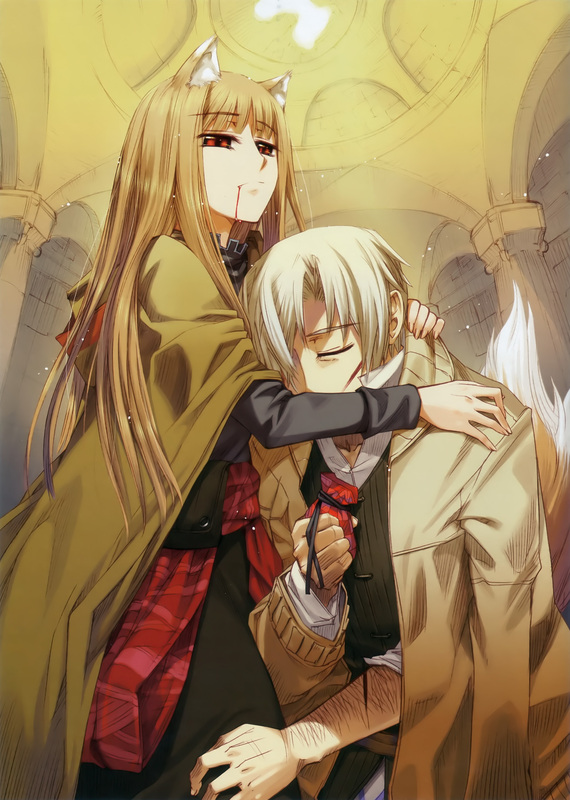 An OVA followed which was directed by Takeo Takahashi under Brain’s Base studio and was released on April 30, 2009. 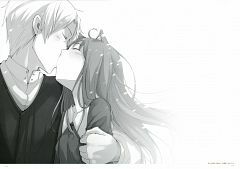 An anime sequel under Brain’s Base was made and aired starting July 9, 2009 and ended September 24, 2009 on KBS, Chiba TV, Tokyo MX, Sun-TV and many more. 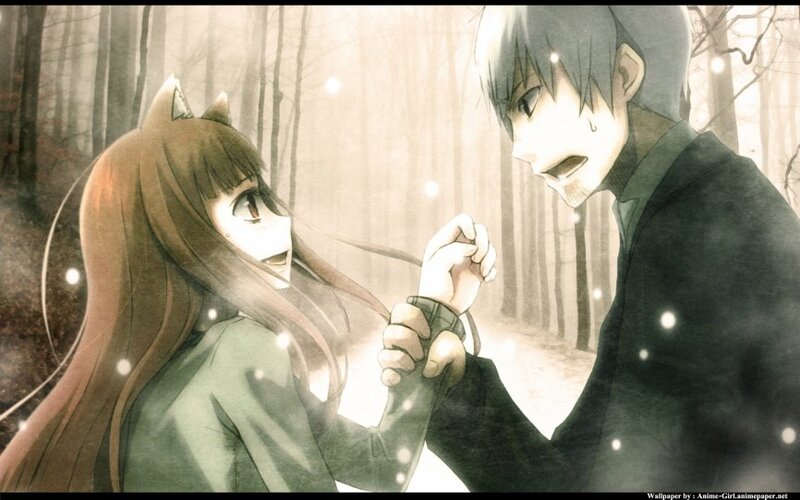 Another game for the Nintendo DS was made by the ASCII Media works and was released on September 17, 2009. Ookami to Koushinryou is centered on Kraft Lawrence, a young merchant who sells odds and ends in different towns just to get by in a European themed setting. One night in Pasloe town, he finds a wolf god, Holo, who is six centuries old who has the appearance of a young teenage girl except for her wolf ears and tail. 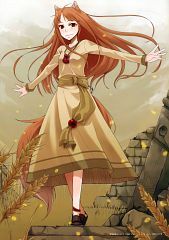 She reveals that she is Pasloe’s goddess of harvest and despite having responsibilities to the town, she wishes to return to Yoitsu, her homeland. 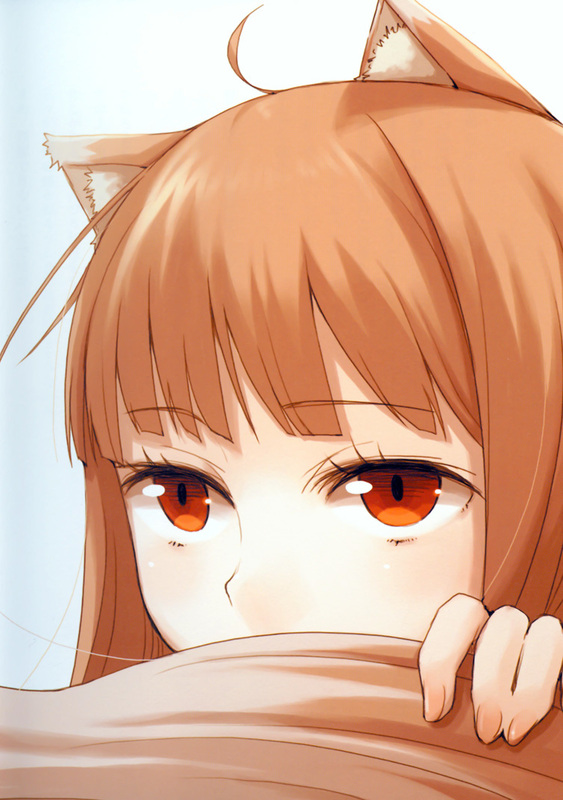 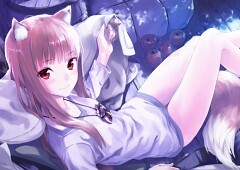 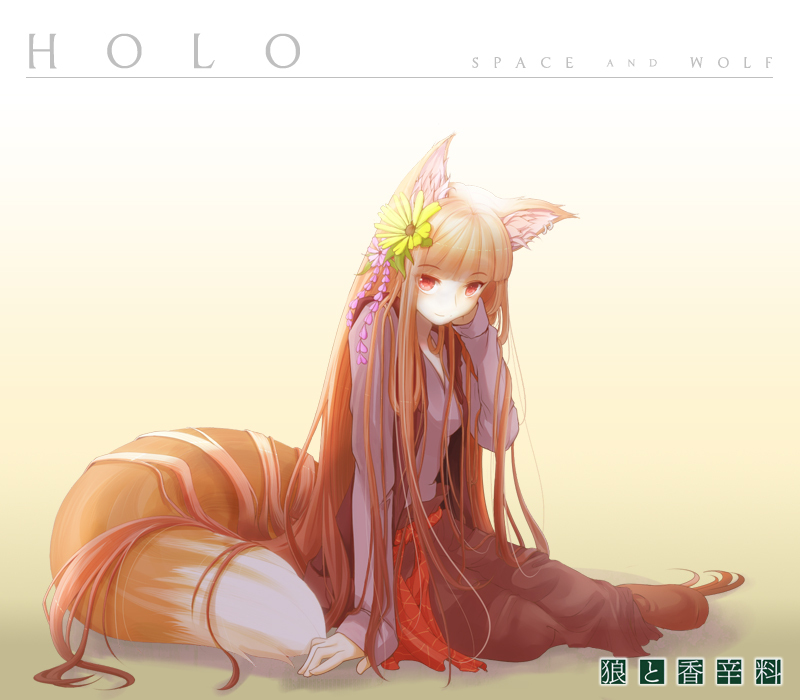 Holo feels that she has given the town enough good harvests and now wants to wander the world after being in the same place for many years. 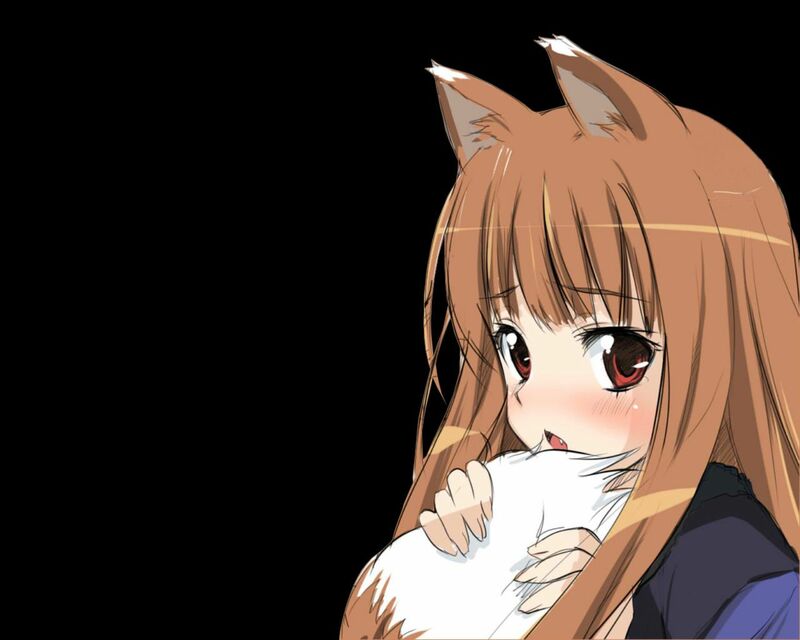 She accompanies Lawrence benefitting him in profits but Holo’s nature brings undesired attention from the Church. 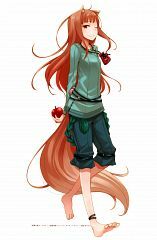 Kraft Lawrence – Kraft Lawrence is a young man who buys and sells goods from town to town as a living. 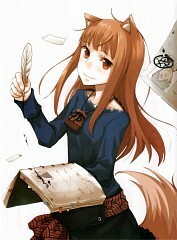 He was a merchant’s apprentice when he was a boy but later decided to make it on his own when he reached 18 year old. He wishes to make enough money to open a shop despite travelling for almost seven years. One night in the town called Pasloe, he meets the six hundred year old wolf-deity, Holo, who accompanies him in his travels. 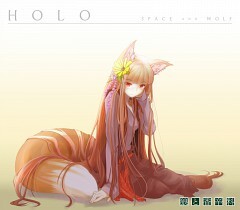 Lawrence benefits greatly from Holo’s ancient knowledge in the form of profits and helping him out of trouble. 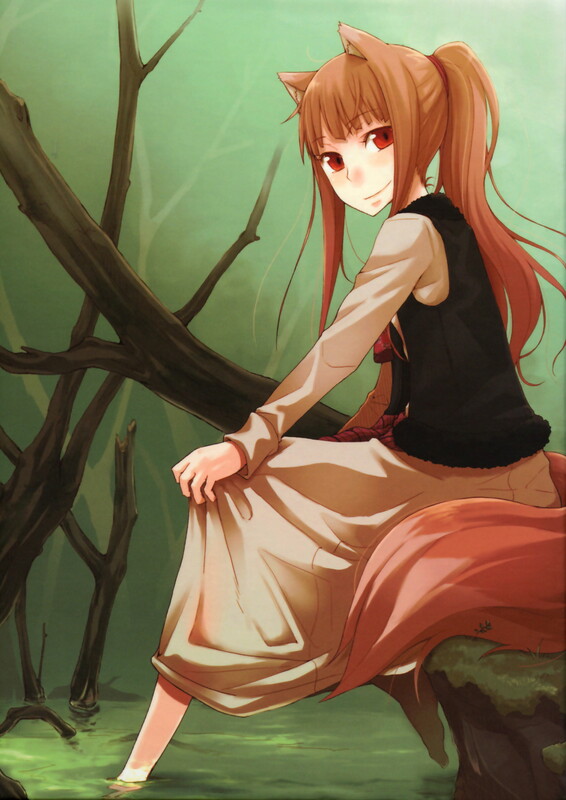 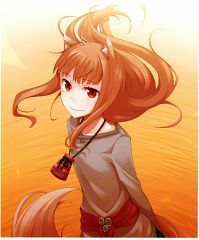 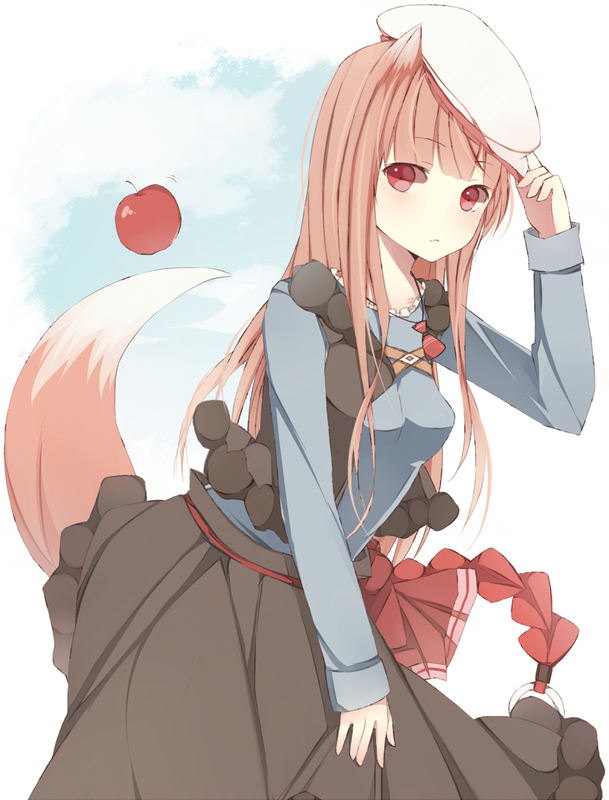 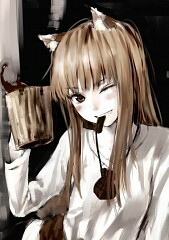 Holo – Holo is the harvest deity of Paslo who takes the form of a teenage girl with wolf ears and tail. She hails from a land from the north, Yoistsu, which she wishes to return to. 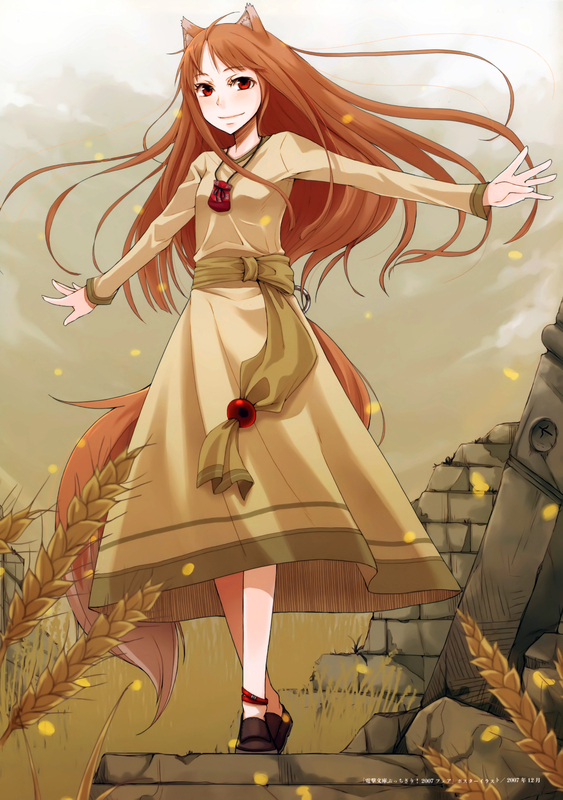 She stayed in Pasloe as a promise to give the town a bountiful harvest every year but later saw that the town did not need her blessings as they became independent. 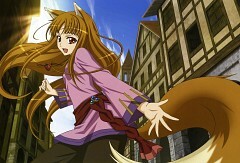 She joins Lawrence in his travels helping him with her six hundred years of knowledge.